1 (a) A journal bearing was intended to operate under hydrodynamic lubrication but was found to incur excessive wear in service. The revolving shaft and the bearing were made of plain carbon steel. Discuss the likely causes of wear and suggest methods of reducing the wear. In an ideal journal bearing, with an adequate lubrication, the surfaces should not contact, and therefore produce no wear. In this study example, wear has been detected originated by the load applied to the beam, or as a result of the own weight of the shaft as discussed by Pugh, B (1970). First it is interesting to analyze which kind of wears can be detected. Abrasive wear appears when the two surfaces in contact have different hardness. Then the hardest surface will wear the softer one. If one of the materials would be harder than the other, this softer material could be hardened by carburizing or nitriding treatments or simply applying a coating (PVD, CVD or thermal spraying) aiming to achieve the same hardness in both surfaces. In this case study is not expected this situation to appear, because shaft and bearings are made with the same material, and therefore have the same hardness. It is also a cause of abrasive wear the evidence of a poor surface finish where asperities are present or even hard particles are free fractioning between the surfaces. These hard particles can be originated by the friction of both rough surfaces, or can be resident in the lubricant. In case of having a rough surface, a smoothing treatment like grinding or polishing could finish the problem, and reduce the amount of debris in the interface. This situation is also not likely to appear in this study, because the thickness of the lubrication film is high, compared with the surface roughness. This is due to have a hydrodynamic lubrication. (1) For a hydrodynamic lubrication, X>5. If the wear is still high after smoothing, could be interesting to apply a more consistent filtering to the lubricant supply to avoid the inclusion of these particles. Oxidative wear can be given by the reaction of one of the surfaces with the oxygen in the surroundings. This surface will develop an oxide layer. The oxidation rate is given by the Arrhenius equation, and it is proportional to the wear rate, as it is detailed by Sarkar, A.D. (1976). In this equation it can be clearly identified that the wear derived from the oxidation process is proportional to the temperature (T) achieved in the contact interface. When the journal bearing is operating, the temperature of the surfaces and the one of the lubrication increases. This leads to oxidation and the respective wear. As it was investigated by Costa, L. et al (2001), the increase of temperature in the interface, leads to a lowering in the viscosity level of the lubrication. If we add this to the last described situations, we obtain a decrease in the thickness of the lubrication film, with the consecutive lost of efficiency against the surface roughness, see equation (1), and an accelerated oxidation rate. Costa, L. et al (2001) propose for these situations an analysis in the supply pressure and supply temperature of the lubrication, an on the groove dimensions for conducting the lubricant. With these factors under control, it will be ensured that the thickness of the lubrication layer is maintained constant, despite a temperature increase. 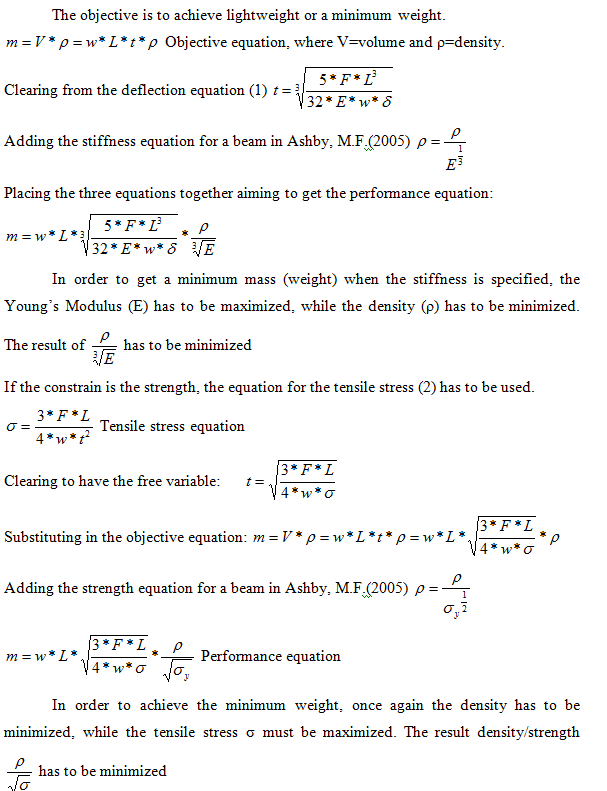 1 (b) Calculate the relative increase in wear rate of a plain carbon steel due to an increase in the sliding interface temperature from 300 to 350oC. The predominant wear mechanism is oxidative wear and its rate is directly proportional to the oxidation rate. You may assume that the Arrhenius equation holds for oxidation under these conditions with an activation energy of 208 kJ/mol. As it has been outlined in the statement for this study, oxidative wear is directly proportional to oxidation rate as it is justified by Sarkar, A.D. (1976).. Taking a look at the Arrhenius equation can help to deduce the parameters involved. The oxidative wear at 350ºC will be 32.25 times faster than it was at 300ºC. 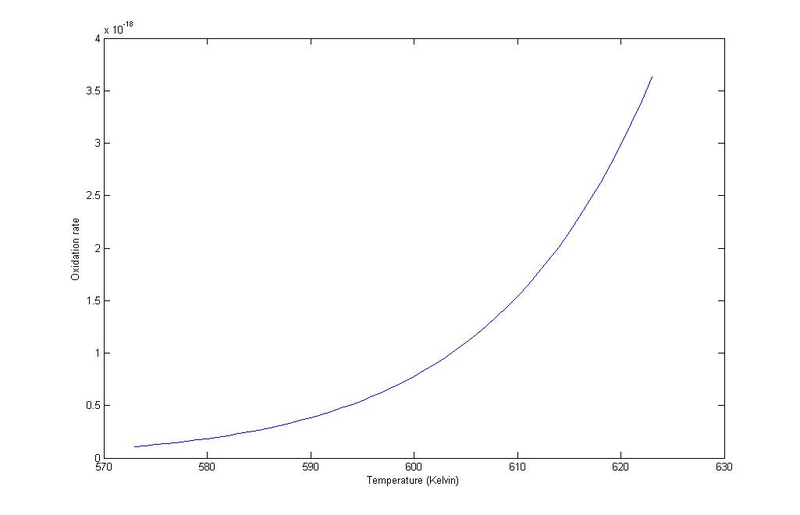 See Appendix, Fig 1 for a graph showing the oxidative rate vs temperature increase. Fig 1: Oxidative wear rate for carbon steel in the temperature gap for the sliding interface between 300 and 350ºC. 2.- As a means of reducing weight and increasing the power-to-weight ratio, an engine manufacturer decided to use aluminium for the cylinder block, piston and piston rings in an internal combustion engine. However, the engines performed unsatisfactorily in service due to excessive wear at the piston-cylinder interface. Explain the reasons for the excessive wear and discuss possible means that the manufacturer could use to overcome the problem. The first thing to be considered is whether is helpful to have the two contact surfaces (rings and cylinder block) made of the same material. With this configuration, wear is going to attack both parts, while if the block is casted in a harder material, wear would only take part in the softer part (rings). Debris would come only from the rings, and cause wear on the rings, but not in the block. Therefore, maintenance would become easier by changing just the affected and the harder part will remain invariable, as it has been explained by Pugh, B (1970). The reinforcement with ceramic materials is spread due to their characteristic hardness and resistance to chemical wear. The desire to reduce CO2 emissions in IC engines has lead to research in materials and lubricant technologies. As it is outlined by Voong, M. et al (2003), aluminium alloy components have been used for parts as pistons “due to their excellent resistance to corrosion, good thermal conductivity, low cost, and ease of fabrication by casting”. In the other hand, these materials are susceptible to wear and friction when performing under loaded and sliding conditions. In particular, wear obtained in piston rings is originated by scuffing, and it is difficult to reduce, but adding special lubricants that adhere easily to the surfaces. It is important to mention that this lubricant must be extremely filtered, to avoid the inclusion of foreign particles that can cause wear. Once again, it is important to have a smooth surface in the rings as in the cylinder block. The presence of asperities would lead to a great wear rate. Not only this, but if the pieces have been cross honed aiming to retain lubricant (oil), the machining technique used to carry this grooves can have left residual debris. A more adequate system to carve this grooves or pits should be used, for not having residual debris, like chemical etching, laser patterning or submit the piece to an ultrasonic clearance after the carving. Voong, M. et al (2003), suggest that chemical reactions between the aluminium surfaces and the lubricant are likely to take place, especially when temperature rises. This chemical wear, accelerate and favours other undesired situations like the apparition of debris and abrasion. Therefore, the investigation of an adequate lubricant that can maintain the thickness of the layer, and, at the same time, not producing any chemical reaction with the aluminium would be highly recommended. 3.- The beam shown below is supported at its ends and subjected to a total force F, which is uniformly distributed over the upper face as indicated. The width w and length L are specified in the design. The beam is required to be as lightweight as possible. The beam is also required to withstand the force without failing, for this reason the fracture toughness of the beam materials must be greater than 30 MPa.m1/2. 3(a) Derive the stiffness and strength performance index expressions (objective: minimum mass) analogous to Equations (1) and (2) for this plate. 3(b) From the materials charts, select those materials with stiffness performance indices greater than 1.50 (for E and ρ in units of GPa and Mg/m3, respectively). These two points give the coordinates for drawing a line in the Modulus-Density diagram. The materials above the line will have a stiffness performance over 1.5. See in the appendix, Fig 2 for the diagram. 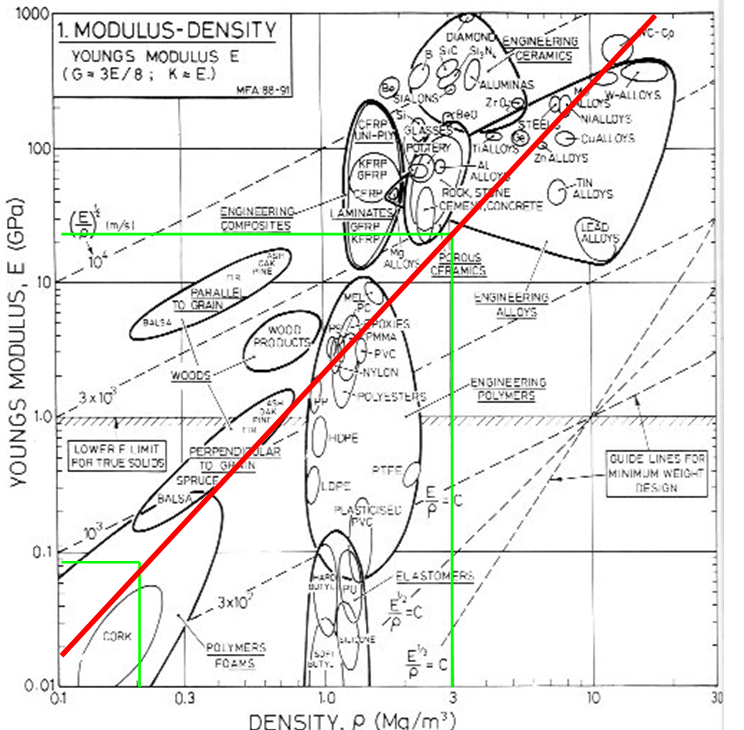 Fig 2: Modulus-Density chart Ashby, M.F.(2005). All the materials over the red line/limit have a stiffness performance index greater than 1.50. The best choice of materials would be those of engineering composites or the engineering ceramics. If we still aim to get a low mass, those closer to the line where: because of their big Young’s modulus and low density. 3(c) Now select those materials having strength performance indices greater than 6.0 (for σy and ρ in units of MPa and Mg/m3, respectively). These two points give the coordinates for drawing a line in the Strength-Density diagram. The materials above the line will have a stiffness performance over 1.5. See in the appendix, Fig 3 for the diagram. 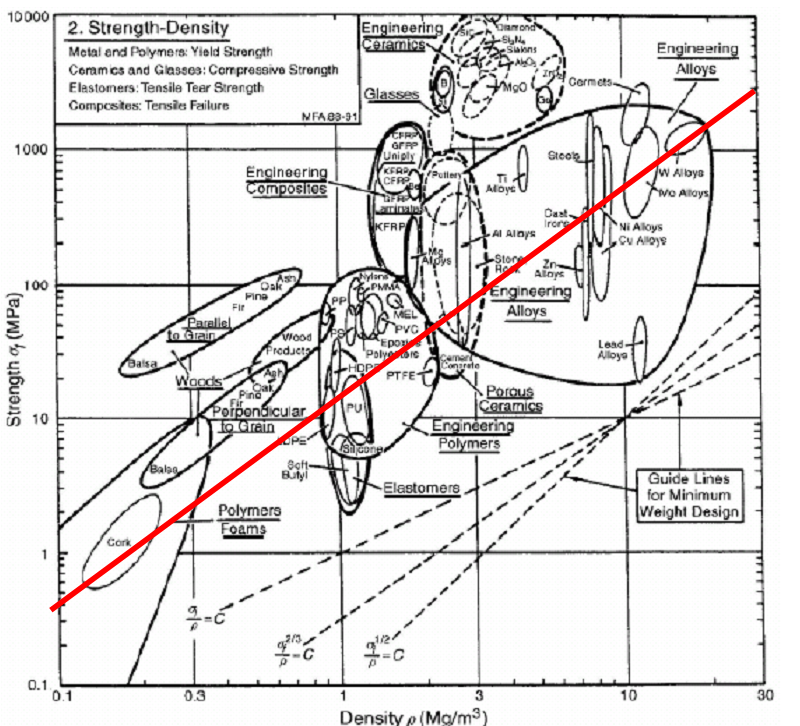 Fig 3: Strength Density diagram Ashby, M.F.(2005). All the materials over the line will have a strength performance index greater than 6.0. The availability of materials for these constrains is greater, wood products, together with glasses, engineering composites, engineering ceramics, some engineering alloys and some engineering polymers. 3(d) Rank the materials selected in terms of their performance indices and estimated costs. One of the constrains of this case study is that the fracture toughness of the beam materials must be greater than 30MPa.m1/2 . This condition is going to reduce the availability of materials. 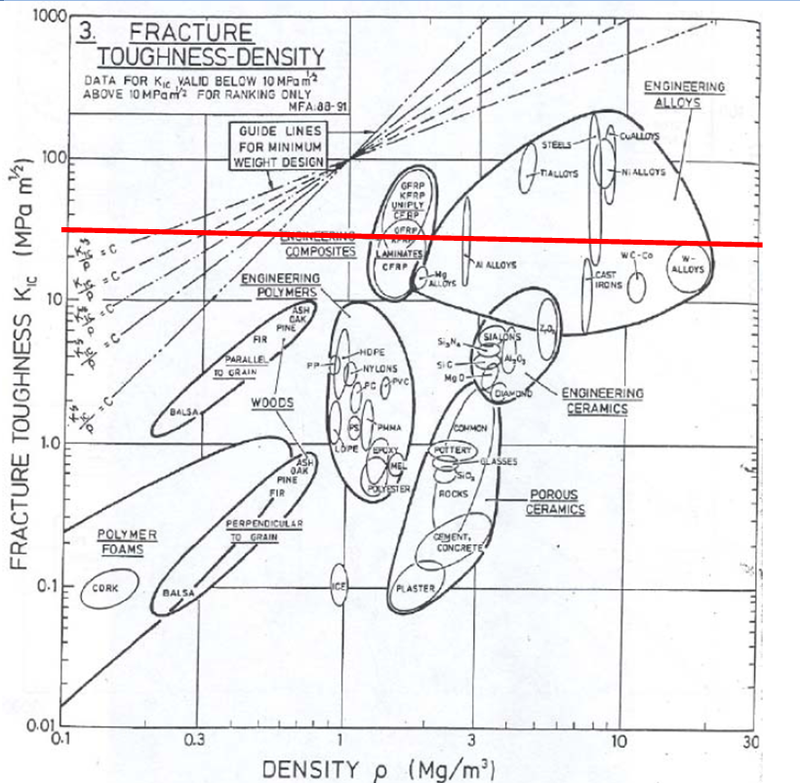 In the appendix in Fig 4 it has been represented the materials with an adequate fracture toughness. When the three constrains are put together, it can be identified that only certain engineering alloys and engineering composites would fit for this purpose. 3(e) Which material(s) would you select if both stiffness and strength were to be considered relevant for this application? Justify your choice. The best selection of materials would be certain Aluminium alloys. Their stiffness is over the required 1.5, and the strength of some of these alloys is over the required.At the same time Aluminium alloys have a low density formulating it ideal for a lightweight beam. In the other hand, at the time when Ashby, M.F. (2005) collected his data in 2005, this is the most economic solution. The printing rolls are subjected to free particles or debris originated by wear in the same rolls or coming from grit and dust from the environment. These particles are trapped in the sliding interface and remove material, as it is identified by Sarkar, A.D. (1976). The object to study is the relative hardness of these particles, related with the hardness of the surface (printing rolls). Chilled cast iron is a relatively soft material, with a Young’s Modulus around 100 GPa extracted from Asbhy, M.F. (2005). In the other hand, the granularity of this alloy is high, so it is possible self generated debris are the causes of abrasion. The configuration of the microstructure is a result of the heat treatment and the cooling applied in the manufacturing process. The application of a harder coating, would reduce the wear, and, at the same time, provide a surface finish with a finer granularity, avoiding the self generated debris. In order to provide an adequate coating, tungsten carbide/cobalt cermets have been chosen. Cermets are ceramic-metal composites of extremely hard particles (WC) embedded in a metal matrix, that will prevent crack propagation, and therefore, the self generation of debris, apart of increasing the hardness of the surface. High Velocity Oxygen Fuel (HVOF). This method will melt the particles, and spray them at a high speed, so the time the particles are susceptible to be oxidised is reduced. In any case, the spraying in a carburising atmosphere is recommended to reduce this process to a minimum. HVOF also provides high strength between the atoms of the coating, lowering the porosity. The disadvantage of this method is that it takes longer time to coat a certain surface, has a low efficiency and coating thickness can not be greater than 1.5 mm. In a brief, it would be the most recommended treatment, but also the most costly. Plasma Spray (APS).It provides the highest temperature of all the available methods for the particles to be molten. In the other hand, this higher temperature accelerates the oxidation rate, and particles take longer to reach the surface. Therefore, a protective atmosphere should be provided, with the aim to eliminate air bubbles to be formed in the coating (air entrapment) by displacing the air at an adequate flow rate or removing the air. One again, the coating can not be greater than 1.5 mm but in this case, the efficiency is higher than the one with HVOF. This method will provide a worst result, but be more economic than the previous one. Ashby, M.F. (2005). Materials Selection in Mechanical Design. 3rd Edition. Pp 70-77. Elservier, UK. Costa, L. et al (2001). Experimental Study of the Influence of Changes in Load Direction on the Performance of a Crown Bearing in Meccanica Vol 36. Pp 701–708, Kluwer Academic Publishers. The Netherlands. Pugh, B (1970). Practical Lubrication. Pp 40-41. Newes Butterworth, Kingston-upon-Hull, Great Britain. Sarkar, A.D. (1976). Wear of metals. Pp 2-3. Pergamon International Library. Exeter, Great Brittain. Voong, M. et al (2003). The compatibility of crankcase lubricant–material combinations in internal combustion engines in Tribology Letters, Vol. 15, No. 4, PP 431-442. Plenum Publishing Corporation.